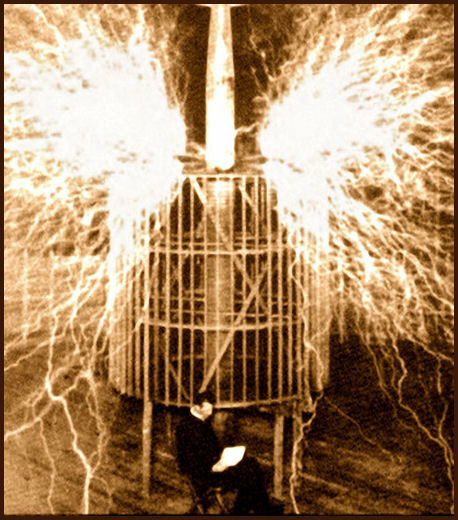 Editors note: For many years skeptics have stated that Nikola Tesla did not invent any “healing” technologies. However, with very little effort one can find numerous writings of his that would say otherwise. Our own technologies are based on his research and inventions in this field. This is but one of many of Tesla’s writings on the subject. During the past few weeks I have received so many letters concerning the same subject that it was entirely beyond my power to answer all of them individually. In view of this I hope that I shall be excused for the delay, which I must regret, in acknowledging the receipt, and also for addressing this general communication in answer to all inquiries. The many pressing demands which have been made upon me in consequence of exaggerated statements of the journals have painfully impressed me with the fact that there are a great many sufferers, and furthermore that nothing finds a more powerful echo than a promise held out to improve the condition of the unfortunate ones. The members of the medical fraternity are naturally more deeply interested in the task of relieving the suffering from their pain, and, as might be expected, a great many communications have been addressed to me by physicians. To these chiefly this brief statement of the actual facts is addressed. Some journals have confounded the physiological effects of electrical oscillations with those of mechanical vibrations, this being probably due to the circumstance that a few years ago I brought to the attention of the scientific men some novel methods and apparatus for the production of electrical oscillations which, I learn, are now largely used in some modification or other in electro-therapeutic treatment and otherwise. To dispel this erroneous idea I wish to state that the effects of purely mechanical vibrations which I have more recently observed, have nothing to do with the former. Mechanical vibrations have often been employed locally with pronounced results in the treatment of diseases, but it seems that the effects I refer to have either not been noted at all, or if so, only to a small degree, evidently because of the insufficiency of the means which have eventually been employed in the investigations. While experimenting with a novel contrivance, constituting in its simplest form a vibrating mechanical system, in which from the nature of the construction the applied force is always in resonance with the natural period, I frequently exposed my body to continued mechanical vibrations. As the elastic force can be made as large as desired, and the applied force used be very small, great weights, half a dozen persons, for instance, may be vibrated with great rapidity by a comparatively small apparatus. I observed that such intense mechanical vibrations produce remarkable physiological effects. They affect powerfully the condition of the stomach, undoubtedly promoting the process of digestion and relieving the feeling of distress, often experienced in consequence of the imperfect function of the organs concerned in the process. They have a strong influence upon the liver, causing it to discharge freely, similarly to an application of a catharic. They also seem to affect the glandular system, noteably in the limbs; also the kidneys and bladder, and more or less influence the whole body. When applied for a longer period they produce a feeling of immense fatigue, so that a profound sleep is induced. The excessive tiring of the body is generally accompanied by nervous relaxation, butthere seems to be besides a specific action on the nerves. These observations, though incomplete, are, in my own limited judgment, nevertheless positive and unmistakable, and in view of this and of the importance of further investigation of the subject by competent men I prepared about a year ago a machine with suitable adjustments for varying the frequency and amplitude of the vibrations, intending to give it to some medical faculty for investigation. This machine, together with other apparatus, was unfortunately destroyed by fire a year ago, but will be reconstructed as soon as possible. In making the above statements I wish to disconnect myself with the extraordinary opinions expressed in some journals which I have never authorized and which, though they may have been made with good intent, cannot fail to be hurtful by giving rise to visionary expectations. The Detroit Free Press — Feb. 16, 1896, p. 16. Be true to yourself. If cooking isn’t your thing, own it. Have a potluck, go to Costco, or enlist the help of a friend who loves to cook. It’s your party, so do it your way! The important thing is just to do it, even if you’re doing it with take-out and disposable plates. Consider co-hosting with a friend or family member. You’ll share the work and expenses. Maintain perspective. Remember, it’s just a party — not an audition for the next season of Top Chef. 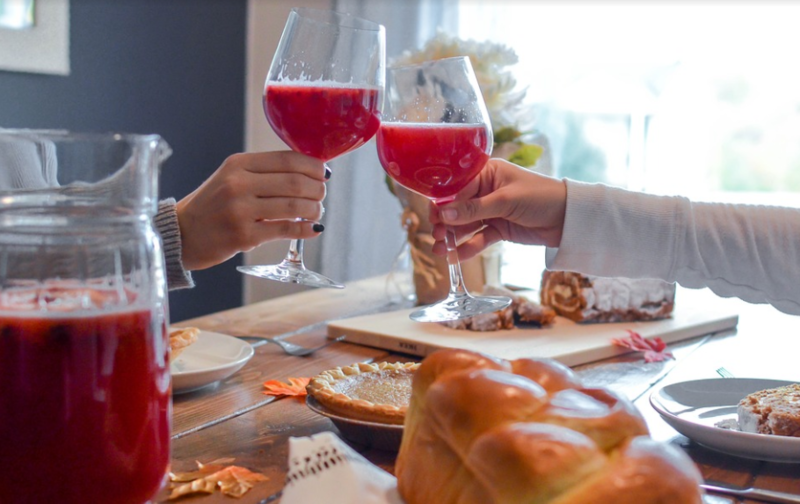 It’s challenging enough hosting a holiday party, but if you’ve been diagnosed with OCD or deal with chronic anxiety, it makes the struggle even more real. Please be gentle with yourself and don’t worry about the details. We’ve got you covered with our tips below. Who would you like to invite? The number of people and the mix of adults and children will help you decide the kind of party you’ll have. What kind of a gathering would you like? Casual buffet, sit-down dinner, brunch, open house, just desserts or even a progressive dinner with different courses being held at different homes? Once you’ve planned your menu, cook as much as you can ahead of time. Many foods can be prepared a week in advance and frozen until the day of the party. At the party, set up a drink station. Consider having your own signature drink premade, such as a seasonal cocktail. Then have a large bin or cooler for beer and wine, and another for non-alcoholic drinks like soda and water. Use a drink calculator to help you determine how much to buy. Take care not to let any of your guests drive home intoxicated. Arrange for another friend to drive them home or call a ride service or taxi. 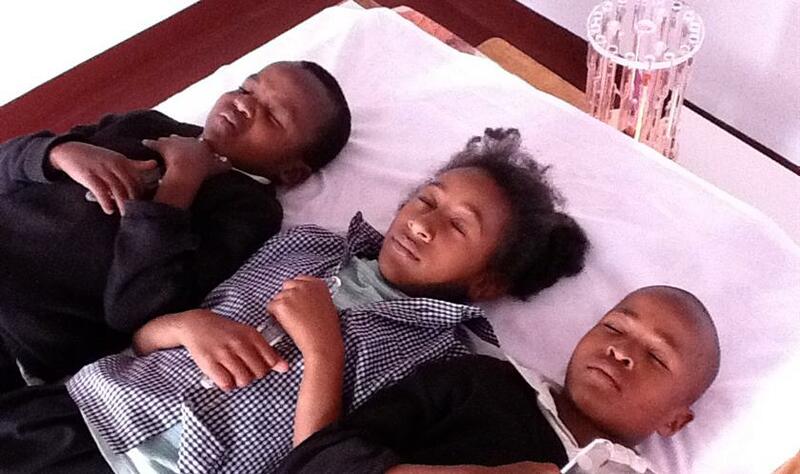 Another option would be to let them stay overnight in your guest room. Consider stocking up on Chinese take-out boxes for people to take leftovers home. Forgetting the needs of your guests. Warmly welcome each guest by showing them where to put their coats and offering them a drink. Make sure you’ve got guest towels in the bathroom and available trash bins. If guests are expecting dinner at 7:00 p.m., don’t serve it at 8:00 p.m.! Not setting the mood with lighting and music. Turn off any bright lights! Candles go a long way in setting a festive feel in your home. Amber votive holders especially give off a warm glow. Music also adds so much to the vibe. Spotify and Pandora have great playlists. Not having options for those with dietary restrictions. When planning your menu, make sure you know your guests’ dietary needs. Are any of them vegans, vegetarians, or gluten-intolerant? An award-winning website with vegan-friendly recipes is Oh She Glows. Take a deep breath and remember that nobody (at least nobody that you would invite!) is coming to judge you or your dinnerware. This is about sharing the holiday spirit with people you care about. Relax, have fun, and enjoy some of those leftovers yourself! 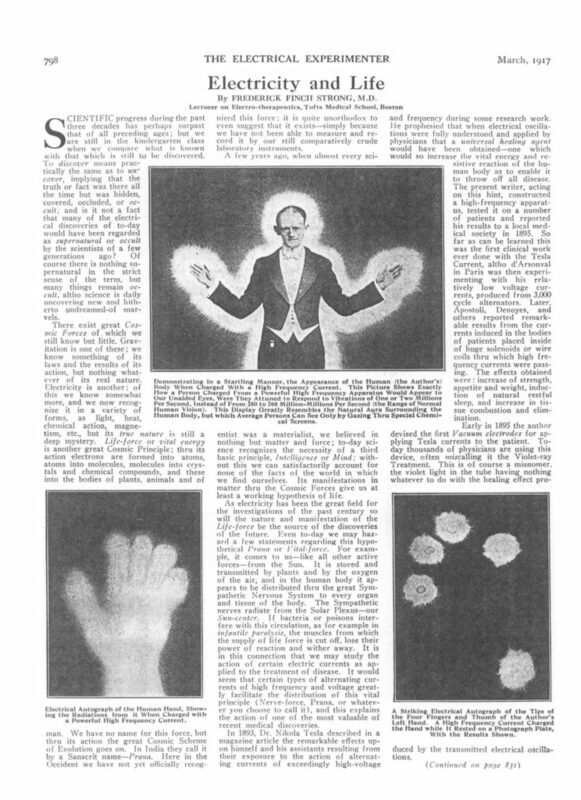 This is an excellent article from 1917 giving an explanation of Nikola Tesla’s Electro Therapeutics technology. The discoveries that are discussed here were the premise behind our development of the ‘Tesla Lights’. The Boston Sunday Globe, Boston, Massachusetts, page 3. December 18, 1904. I give you today the substance of two remarkable talks with Nikola Tesla. The first I had in his laboratory on East Houston st. nine years ago last September. The second was held in the Waldorf last night. The first interview was most interesting, giving a wonderful insight into Tesla the inventor and Tesla the man, but it was never published, for Mr. Tesla at its close on the ground of business reasons, begged that I say nothing about him for months to come. I wrote out the notes, however, and laid them away, and when I met Mr. Tesla last night I told him I now intended to use them. At the same time we had the extraordinary conversation about his recent discoveries and inventions as to the transmission of force, which I reproduce in the latter part of this article. Tesla the Man.First take a glance at Tesla the man. He looked more like an Italian savant than a hard-working inventor when I saw him in the Waldorf. He was in evening dress and was the most striking figure of the score of public men who stood about the lobby. Mr. Tesla is now 47 years of age and is in his physical and intellectual prime. He is tall and slender, his head is long, thin and intellectual, with a forehead high and full. He was born in Hungary and educated there, but he speaks English perfectly and is one of the most charming conversationalists I have ever met. His father was a clergyman of the Greek church, and Nikola was intended for the priesthood. He had a brother older than himself, whom the rest of the family considered much brighter. That brother died young, and this so crazed his father and mother that it took them long to realize the genius of Nikola. If he stood well in his studies his father’s eyes would fill as he thought how much better, perhaps, the other son might have done, and whatever Nikola did was always compared with the possible work of the boy who had passed away. His first education was in the public schools of Gospich, and after that he went to the Real Schule at Karlstadt. As he went on with his studies he liked mathematics so much that he intended to fit himself to be a professor of mathematics and physics, and with that view studied at the polytechnic school at Gratz. He changed to the engineering course, and later on studied philosophy and languages in the colleges at Prague and Buda Pest. He has since been made a doctor of laws by Yale and Columbia. Shortly aftere (sic) completing his studies Mr. Tesla was associated with the government of Austria-Hungary in the telegraph engineering department, where he invented several improvements. From there he went to Paris to be engineer of a large lighting company, and thence to the United States, where he was employed by Thomas Edison in his laboratory. 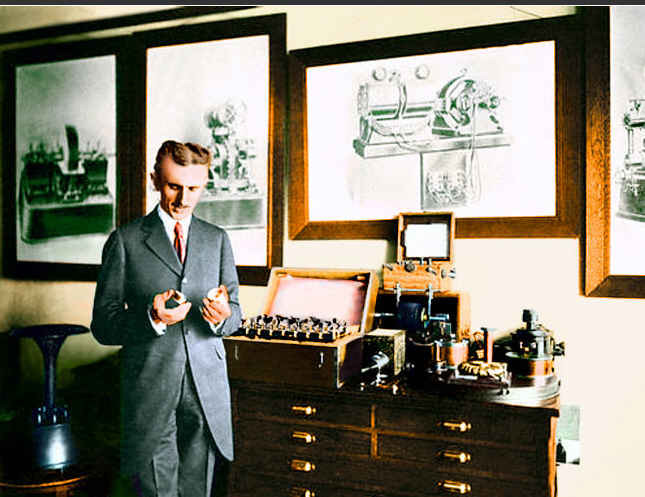 His next position was that of electrician to the Tesla electric light company, and at the same time he established the Tesla laboratory here, from which his great inventions have come. During my first chat with Mr. Tesla I asked him when he first realized that he had the inventive faculty and he told me he had always been inventing something or other. When he was a small boy he made toy guns, which would shoot birds, and as he was the only one who could make them he supplied the boys of his neighborhood. He made clocks at eight or nine years and began to dabble in electricity before he was in his teens. His first determination to devote his life to invention came shortly after he went to London to deliver a lecture before a scientific body there. At this lecture he met Lord Rayleigh, the great physicist, and showed him some of his experiments. Rayleigh said that he had undoubtedly, the faculty of discovery and that he would succeed as an inventor. “I tell you, we are on the threshold of a new era. We have only begun to master the great forces of nature, and the inventions of the next few decades will be far superior to any of the past. What would you think of standing on the shore and telephoning to your friends in midocean (sic)? What of being in the center of a room and making your whole body blaze with light? What of sending power to and fro over the earth at will and making it di its work anywhere and almost anyhow? How it Feels to Invent. 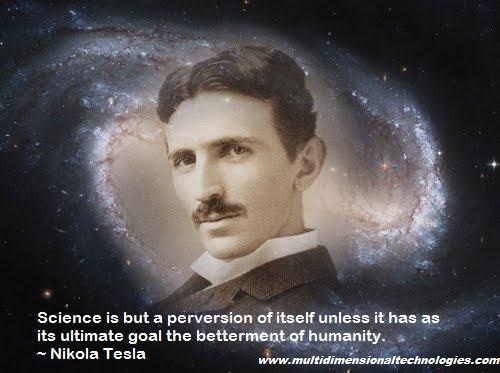 Mr. Tesla told me that his greatest pleasure was in his work, and that he could conceive no moment so exciting and rapturous as that connected with the discovery of a new principle which, when put into use, would revolutionize the work of the world. “I had been working upon that experiment for a long time, and this was the test. I knew that if I were correct that the wheel in this globe would revolve as soon as I turned on the electricity. It did revolve, and I knew I had discovered what would revolutionize the labor of the world. You can run all sorts of power by that principle. You can take power from Niagara and bring it to New York. The cars can be pulled by it, factories run, houses heated and dinners cooked. I cannot describe my sensation when I saw the wheel revolve. I thought I should go crazy, and I went to my laboratory and took some bromide of potassium to quiet me. As to Mr. Tesla himself, there is no harder worker known. He told me that he seldom slept more than four hours of a night, and during some periods not more than three. When in the thick of a new invention it is hard to sleep. His work is always with him and he says that his mind sometimes works in his sleep. He awakes in the morning to find that the problem which had worried him when he went to bed has been practically solved over night. He has always been a light sleeper. His mother died at 70 and she never took more than four hours’ sleep. His father was a light sleeper. Tesla is a peculiar worker. Failures do not trouble him. After he undertakes a thing and decides that it should come out a certain way, he keeps on experimenting and experimenting, believing in his success. He says that if he doubted his ability it would make him crazy. He seems to have a dual mind. He told me that he often found himself carrying on two trains of thought at the same time, and said that while he was talking to me he could see the figures of some of his calculations behind me and could carry them on at the same time. He is always figuring. His scrap basket is filled with the calculations which he has torn up and thrown away. He keeps a record of his experiments, and when his laboratory burned some years ago he lost the work of years in ideas and suggestions which had been thus recorded. And now to Mr. Tesla’s latest discoveries. If he has what he thinks he has he will revolutionize labor and give man greater benefits than have come from any inventor since the world began. Indeed, the statements made to me last night in the mouth of any other man would be a fair test of insanity. But many of Tesla’s wild statements of the past have been verified by great working inventions. 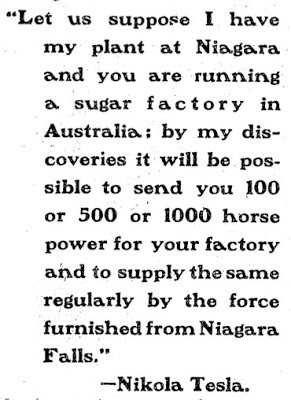 He said he could harness Niagara, and through his experiments in the rotary magnetic fields Niagara is now furnishing a power equal to that of tens of thousands of horses, and electrical works are being run by the same principle all over the globe. The New York subway, for instance, is founded upon it. 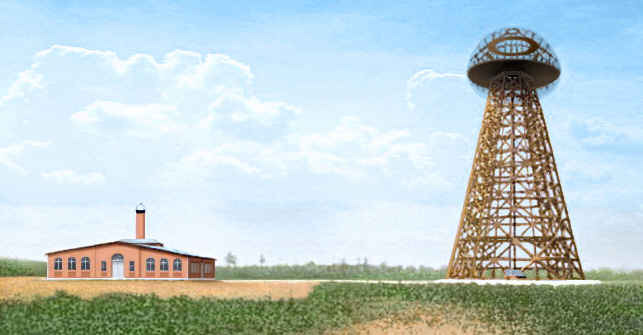 Tesla demonstrated that wireless telegraphy could be done in 1893, and it is a question whether his inventions in that field are not prior to those of Marconi or De Forrest. “How did you discover that this might be done, Mr. Tesla?” I asked. 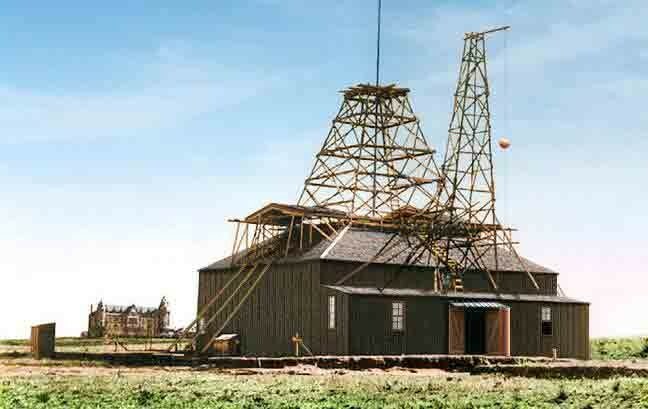 “I have for years been working on the transmission of electrical energy, and in 1898 established a laboratory on the edge of the rocky mountains near Colorado Springs. My laboratory there was over 6000 feet high, higher than the top of Mt. Washington, and I had extraordinary conditions for my experiments. Colorado is famous for its natural displays of electrical force. The earth at times is alive with electrical vibrations and the air is full of electricity. I have seen 12,000 lightning discharges within two hours and all within a radius of 30 miles of my laboratory. These discharges were of great violence, some of them looking like trees of fire on the heavens. It was among such discharges that I had my electrical instruments and studied the principles of electrical transmission through the earth and air. One day while watching the lightning I noticed that the discharges afar off often affected the instruments in my laboratory more than those near by. Upon examination I found that this could not be caused by the difference of intensity in the individual discharges. “Yes. I have been experimenting at my laboratory on Long island. I have machinery and buildings there which have cost in the neighborhood of $350,000, and the results show me that a plant could be erected at Niagara which can transmit its force to any place desired. I am designing such a plant now at my laboratory, and would have had it completed had it not been for unforeseen delays, which have nothing to do with its technical features. The design which I have adopted will have a transmitter which will emit a wave complex of a total maximum activity of 10,000,000 horse power, 1 percent of which is enough to girdle the globe. This enormous rate of energy delivery–it is twice as much as the force of Niagara falls–is obtainable only by the use of certain artifices which I shall make known some time in the future. Mother Earth Put to Work. “By this invention every live part of Mother Earth’s body would be brought into action. Energy will be collected all over the globe in amounts small or large, as it may exist, ranging from a fraction of one to a few horse power or more. Every waterfall can be utilized, every coal field made to produce energy to be transmitted to vast distances, and every place on earth can have power at small cost. One of the minor uses might be the illumination of isolated homes. We could light houses all over the country by means of vacuum tubes operated by high frequency currents. We could keep the clocks of the United States going and give every one exact time; we could turn factories, machine shops and mills, small or large, anywhere, and I believe could also navigate the air. “One of the most important features of this invention,” said Mr. Tesla, “will be the transmission of intelligence. It will convert the entire earth into a huge brain, capable of responding in every one of its parts. By the employment of a number of plants, each of which can transmit signals to all parts of the world, the news of the globe will be flashed to all points. A cheap and simple receiving device, which might be carried in one’s pocket, can be set up anywhere on sea or land, and it will record the world’s news as it occurs, or take such special messages as are intended for it. If you are in the heart of the Sahara your wife can telegraph you from Washington, and if the instrument is properly made you alone will get the message. A single plant of a few horse power could operate hundreds of such instruments, so that the invention has an infinite working capacity and will cheapen the transmission of all kinds of intelligence. Is Life Analog or Digital ? Silicon-based life and dust-based life are fiction and not fact. I use them as examples to illustrate an abstract argument. The examples are taken from science-fiction but the abstract argument is rigorous science. The abstract concepts are valid, whether or not the examples are real. The concepts are digital-life and analog-life. The concepts are based on a broad definition of life. For the purposes of this discussion, life is defined as a material system that can acquire, store, process, and use information to organize its activities. In this broad view, the essence of life is information, but information is not synonymous with life. To be alive, a system must not only hold information but process and use it. It is the active use of information, and not the passive storage, that constitutes life. FREEMAN DYSON is professor of physics at the Institute for Advanced Study, in Princeton. His professional interests are in mathematics and astronomy. Among his many books are Disturbing The Universe, Infinite In All Directions Origins Of Life, From Eros To Gaia, Imagined Worlds, and The Sun, The Genome, And The Internet. [FREEMAN DYSON:] One of my favorite books is Great Mambo Chicken and the Transhuman Condition” by Ed Regis. The book is a collection of stories about weird ideas and weird people. The transhuman condition is an idea suggested by Hans Moravec. It is the way you live when your memories and mental processes are down-loaded from your brain into a computer. 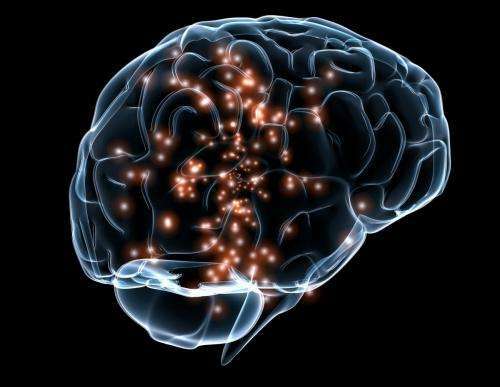 The wiring system of the computer is a substitute for the axons and synapses of the brain. You can then use the computer as a back-up, to keep your personality going in case your brain gets smashed in a car accident, or in case your brain develops Alzheimer’s. After your old brain is gone, you might decide to upload yourself into a new brain, or you might decide to cut your losses and live happily as a transhuman in the computer. The transhumans won’t have to worry about keeping warm. They can adjust their temperature to fit their surroundings. If the computer is made of silicon, the transhuman condition is silicon-based life. Silicon-based life is a possible form for life in a cold universe to adopt, whether or not it happens to begin with water-based creatures like us made of flesh and blood. Another possible form of life is the Black Cloud described by Fred Hoyle in his famous science fiction novel. The Black Cloud lives in the vacuum of space and is composed of dust-grains instead of cells. It derives its energy from gravitation or starlight, and acquires chemical nutrients from the naturally occurring interstellar dust. It is held together by electric and magnetic interactions between neighboring grains. Instead of having a nervous system or a wiring system, it has a network of long-range electromagnetic signals that transmit information and coordinate its activities. Like silicon-based life and unlike water-based life, the Black Cloud can adapt to arbitrarily low temperatures. Its demand for energy will diminish as the temperature goes down. The two ways of processing information are analog and digital. An LP record gives us music in analog form, a CD gives us music in digital form. A slide-rule does multiplication and division in analog form, an electronic calculator or computer does them in digital form. We define analog-life as life that processes information in analog form, digital-life as life that processes information in digital form. To visualize digital-life, think of a transhuman inhabiting a computer. To visualize analog-life, think of a Black Cloud. The next question that arises is, are we humans analog or digital? We don’t yet know the answer to this question. The information in a human is mostly to be found in two places, in our genes and in our brains. The information in our genes is certainly digital, coded in the four-level alphabet of DNA. The information in our brains is still a great mystery. Nobody yet knows how the human memory works. 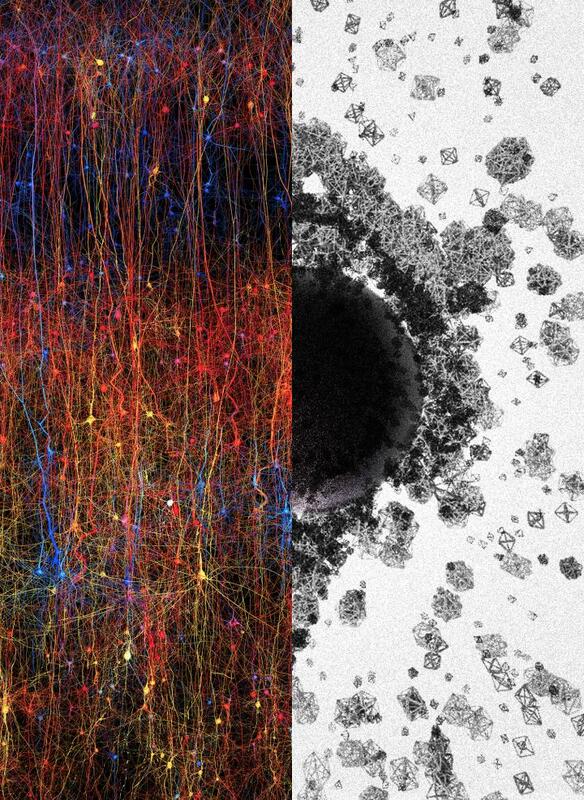 It seems likely that memories are recorded in variations of the strengths of synapses connecting the billions of neurons in the brain with one another, but we do not know how the strengths of synapses are varied. It could well turn out that the processing of information in our brains is partly digital and partly analog. If we are partly analog, the down-loading of a human consciousness into a digital computer may involve a certain loss of our finer feelings and qualities. That would not be surprising. I certainly have no desire to try the experiment myself. There is a third possibility, that the processing of information in our brains is done with quantum processes, so that the brain is a quantum computer. We know that quantum computers are possible in principle, and that they are in principle more powerful than digital computers. But we don’t know how to build a quantum computer, and we have no evidence that anything resembling a quantum computer exists in our brains. Since we know so little about quantum computing, I do not consider it in this discussion. I started thinking about the abstract definition of life twenty years ago, when I published a paper in Reviews of Modern Physics about the possibility that life could survive for ever in a cold expanding universe. I proved to my own satisfaction that survival is possible for a community of living creatures using only a finite store of matter and energy. Then, two years ago, Lawrence Krauss and Glenn Starkman, friends of mine at Case Western Reserve University in Cleveland, sent me a paper with the title “Life, the Universe, and Nothing”. They say flatly that survival of life for ever is impossible. They say that everything I claimed to prove in my Reviews of Modern Physics paper is wrong. I was happy when I read the Krauss-Starkman paper. It is much more fun to be contradicted than to be ignored. In the two years since I read their paper, Krauss and Starkman and I have been engaged in vigorous arguments, writing back and forth by E-mail, trying to pokes holes in each others’ calculations. The battle is not over, but we have stayed friends. We have not found any holes that cannot be repaired. It begins to look as if their arguments are right, and my arguments are right too. We can both be right because we are making different assumptions about the nature of life. It turns out that they are right, and life cannot survive for ever, if life is digital, but I am right, and life may survive for ever, if life is analog. This conclusion was unexpected. In the development of our human technology during the last fifty years, analog devices such as LP records and slide-rules appear to be primitive and feeble, while digital devices are overwhelmingly more convenient and powerful. In the modern information-based economy, digital wins every time. So it was unexpected to find that under very general conditions, analog life has a better chance of surviving than digital life. Perhaps this implies that when the time comes for us to adapt ourselves to a cold universe and abandon our extravagant flesh-and-blood habits, we should upload ourselves to black clouds in space rather than download ourselves to silicon chips in a computer center. If I had to choose, I would go for the black cloud every time. The superiority of analog-life is not so surprising if you are familiar with the mathematical theory of computable numbers and computable functions. Marian Pour-El and Ian Richards, two mathematicians at the University of Minnesota, proved a theorem twenty years ago that says, in a mathematically precise way, that analog computers are more powerful than digital computers. They give examples of numbers that are proved to be non-computable with digital computers but are computable with a simple kind of analog computer. The essential difference between analog and digital computers is that an analog computer deals directly with continuous variables while a digital computer deals only with discrete variables. Our modern digital computers deal only with zeroes and ones. Their analog computer is a classical field propagating though space and time and obeying a linear wave equation. The classical electromagnetic field obeying the Maxwell equations would do the job. Pour-El and Richards show that the field can be focussed on a point in such a way that the strength of the field at that point is not computable by any digital computer, but it can be measured by a simple analog device. The imaginary situation that they consider has nothing to do with biological information. The Pour-El-Richards theorem does not prove that analog-life will survive better in a cold universe. It only makes this conclusion less surprising. The argument of Krauss and Starkman is based on quantum mechanics. If any material system, living or dead, is finite, it will have only a finite set of accessible quantum states. A finite subset of these states will be ground-states with precisely equal energy, and all other states will have energies separated from the ground-states by a finite energy-gap. If the system could live for ever, the temperature would ultimately become much lower than the energy-gap, and the states above the gap would become inaccessible. From that time on, the system could no longer emit or absorb energy. It could store a certain amount of information in its permanently frozen ground states, but it could not process the information. It would be, according to our definition, dead. Krauss and Starkman thought they had dealt a fatal blow to my survival strategy with their argument. But I am still on my feet, and here is my rebuttal. Their argument is valid for any system that stores information in devices confined within a volume of fixed size as time goes on. It is valid for any system that processes information digitally, using discrete states as carriers of information. In a digital system, the energy gap between discrete states remains fixed as the temperature goes to zero, and the system ceases to operate when the temperature is much lower than the energy gap. But this argument does not apply to a system based on analog rather than digital devices. For example, consider a living system like Hoyle’s Black Cloud, composed of dust-grains interacting by means of electric and magnetic forces. After the universe has cooled down, each dust-grain will be in its ground-state, so that the internal temperature of each grain is zero. But the effective temperature of the system is the kinetic temperature of random motions of the grains. Since electric and gravitational energies vary inversely with distance, the cloud must expand as its temperature cools. A simple calculation shows that, in spite of the falling temperature, the number of quantum-states accessible to each grain increases with the three halves power of the size of the cloud. 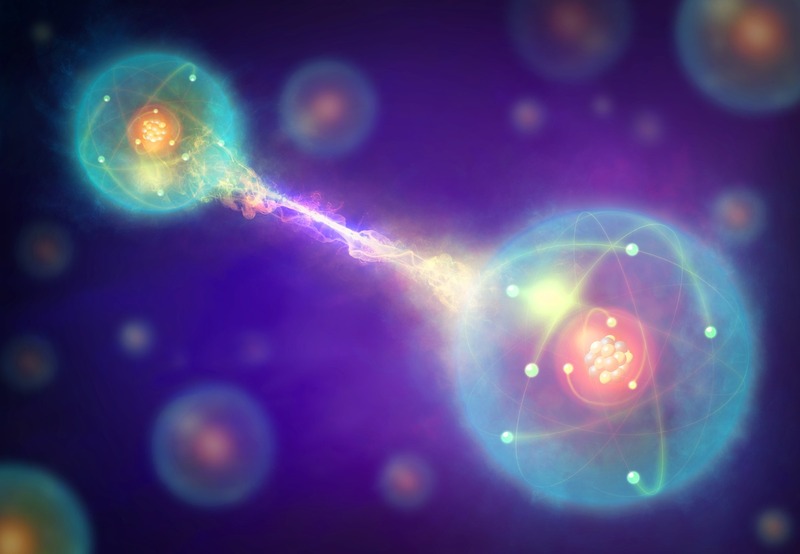 The number of quantum-states grows larger and larger as the cloud expands. In an analog system of this kind, there is no ground state and no energy gap. An analog form of life, such as Hoyle’s black cloud, adapts better to low temperatures, because a cloud with a fixed number of grains can expand its memory without limit by increasing its linear scale. The quantized-energy argument does not apply to an analog system, because the number of quantum-states is unbounded. At late times quantum mechanics becomes irrelevant, and the behavior of the system becomes essentially classical. The number of quantum states becomes so large that classical mechanics becomes exact. When analog systems work classically, the quantized-energy argument fails. That is why survival is possible in the domain of classical mechanics although it is impossible in the domain of quantum mechanics. Fortunately, classical mechanics becomes dominant as the universe expands and cools. But Krauss and Starkman have not yet conceded. I am still expecting them to come back with new arguments which I will then do my best to refute. It seems to me now that the question, whether life is analog or digital, is more interesting and perhaps more important, than the question of ultimate survival out of which it arose. This is a good article that describes the premise behind the technologies that we developed over 20 years ago. 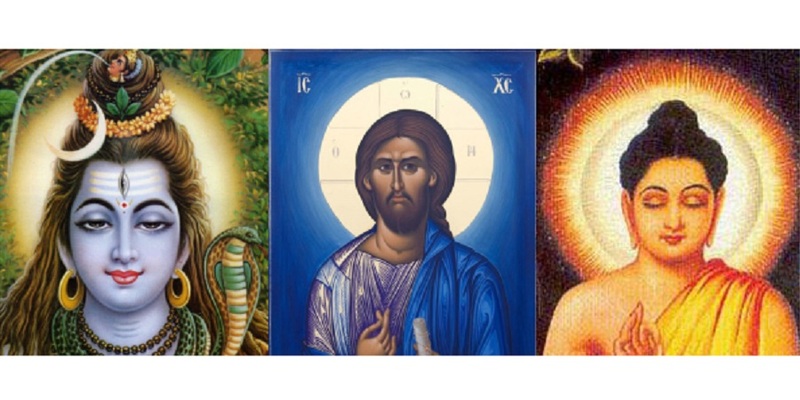 When Biophotons are stimulated with the proper type of Light, Consciousness can be greatly enhanced. This was also the premise behind Nikola Tesla’s Light technologies. The Light that was generated would replicate Sunlight both in Radiance as well as in Consciousness. This is the secret that the great masters of Kung Fu, Tai Chi and Qi Gong have known for centuries. This is the key to elevated consciousness, to super-human strength, to unbending will-power and extreme longevity. People can give off positive, confident ‘vibes,’ and at other times radiate negative energy, both of which can be contagious, affecting the mood and energy level of others. Some people just seem more magnetic, alive, aware and more radiant than others do, for example, Bruce Lee. 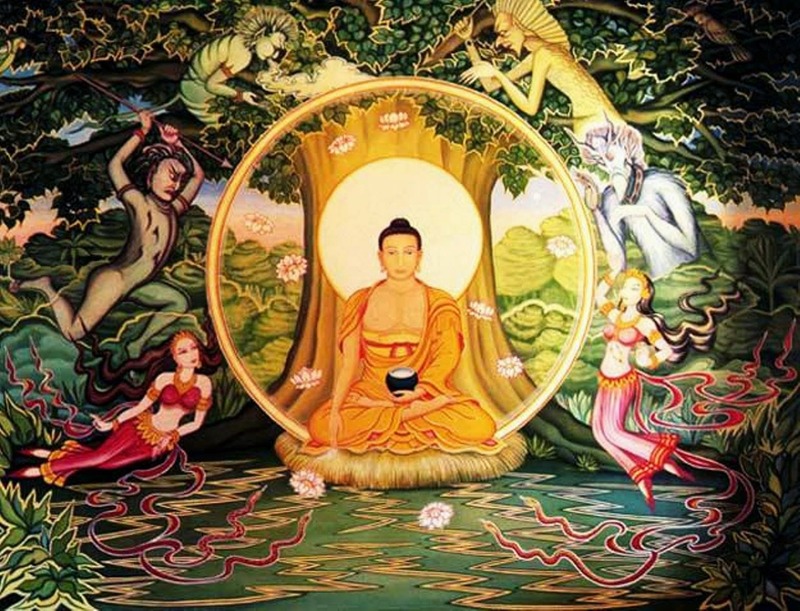 Practices of cultivating Dan Tien can develop one’s ability to gather, build, store, and more effectively use personal energy, or Qi, transforming themselves into the kind of person with abundant and infectious positive Qi. The elixir of life. Lower Dan Tien is the base foundation of the body’s energy structure, acting as the root, or grounding center, as well as being the physical center of the human body. When attention is focused here, it is easy to recognize a concentration of energy. Practices for building and refining the energy of Lower Dan Tien may include physical exercises, guided meditations, breathing exercises, and visualizations, as well as more extreme practices. This article is offered under Creative Commons license. It’s okay to republish it anywhere as long as full attribution is given, bio is included, and all internal links remain intact. The Oscillating circuit is a simple yet very functional way to enhance the Vital energy or Chi of those who wear them. The Oscillating Circuit was made famous in the 1920’s by the Russian engineer Georges Lakhovsky. It was also the foundation for his remarkable Multiple Wave Oscillator technology. In some documents Lakhovsky is even considered to be the inventor of the Oscillating Circuit. However, a quick bit of research shows this technology is potentially thousands of years old. 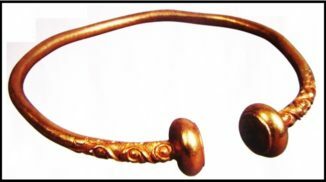 The Torc or Torque was commonly worn as far back as the Bronze Age. 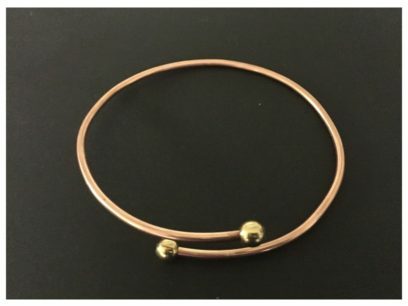 They are generally made of metal in the shape of a circle with an open end as the photo below shows. Torc’s have even been discovered in artifacts that show them being worn by the Celtic Gods. Based on these facts, it is very possible that ancient man had the intuitive understanding of this technology and used it to enhance their daily lives. The science behind this technology and how it works is based on the understanding that all living things have an oscillating electrical nature. Lakhovsky surmised that the nucleus of a cell is very much like an electrical oscillating circuit. Cells have capacitance, inductance and oscillate at specific frequencies. 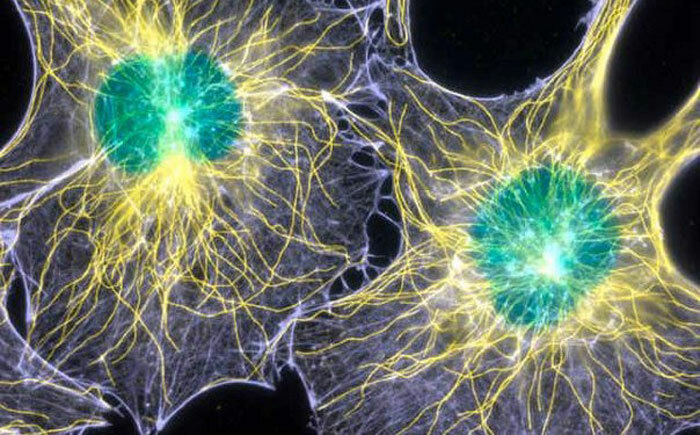 Basically, our cells act like tiny radio transmitters and receivers. Our cells are powered by what Lakhovsky called Cosmic Rays. He discovered several factors that disrupt the cells and cause them to get out of balance. Lakhovsky called this Oscillatory Disequilibrium which basically means that the cells oscillations have slowed to a point where they no longer function properly. In the state of Oscillatory Disequilibrium our bodies become prone to disease. In order for a cell to return to a state of balance or Oscillatory Equilibrium he found that his specific design of the Oscillating Circuit would do the trick. He was able to amply demonstrate this with his groundbreaking research using plants. He would infect Geranium plants with tumors and then he would apply the Oscillating Circuits to some of the plants and none to others. The photograph below shows how this was accomplished. Photo of Geranium plants 2 months after they were infected with tumors. The plant with the Oscillating Circuit is thriving while the others have perished. Lakhovsky was also able to demonstrate the same type of success with humans and animals. The diagram below shows how they can be worn by humans. Lakhovsky’s research into the effectiveness of the Oscillating Circuits can be found in his work “The Secret of Life” circa 1939 . His profound research went virtually unnoticed since its release date coincided with Hitlers’ invasion of Prague. The term Radiobiology was coined to describe this new type of science that Lakhovsky developed. Regardless as to whether or not Lakhovsky invented the Oscillating Circuit technology, his research proving the efficacy of this technology is unmatched to this day. 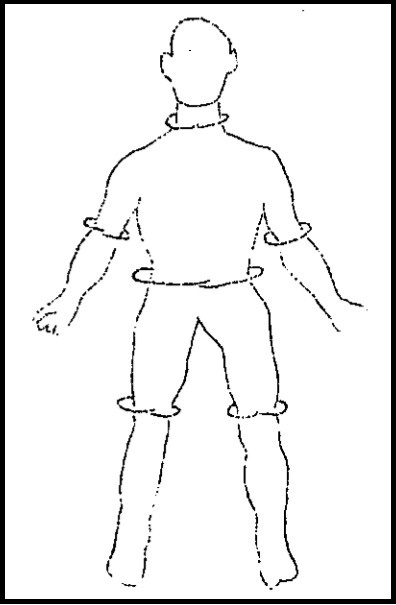 This diagram shows where the oscillating circuits should be worn, i.e. around the neck, waist, and above the elbows and knees. They can also be worn around the wrists and ankles. The effect is intensified if more than one circuit is worn. Lakhovsky believed that the circuits worked best when the ends of the rings overlapped but did not touch. Oscillating Circuits when worn in the specific locations shown above bring Chi to those areas. When applied to any plant or animal the Oscillating Circuits act to amplify cosmic or universal energies. For best results for arms and legs, use the circuits in pairs. One around each arm, one around each knee, etc. The circuits are not extremely difficult to make and if you feel competent, give it a try. We are sure you will be amazed. We have been making these for many years and offer them for very reasonable prices. Our Oscillating Circuits are made of pure Copper. If your skin is sensitive to copper they can be worn over your clothing. They are custom made to the measurements of each individual users specific dimensions . If you would like to purchase an individual Oscillating Circuit or a full set please download the PDF document below. Fill out the specific measurements listed. For plants please specify small, medium, large, or extra large based on the size descriptions on the order form. Return your purchase request to teslatech@hushmail.com . Please allow up to 2 weeks for delivery. Free shipping in the Continental U.S.A.
We are mostly known for the invention of the Tesla Lights, but we have a number of other products that we have also developed over the course of the 20 odd years we have been in business. In the next few weeks we will be doing a spotlight on some of our other products that have assisted many people in finding wholeness. One of them are the Oscillating Crystal Wands that come with every set of Tesla Lights that we sell. They are an excellent companion to the Tesla Lights but they also do very well on their own. The Oscillating Crystal Wands generate a magnetic field that activates Chi or the vital energy of the user. The interaction between the Quartz crystalline structure and the magnets in the crystals create a resonance. 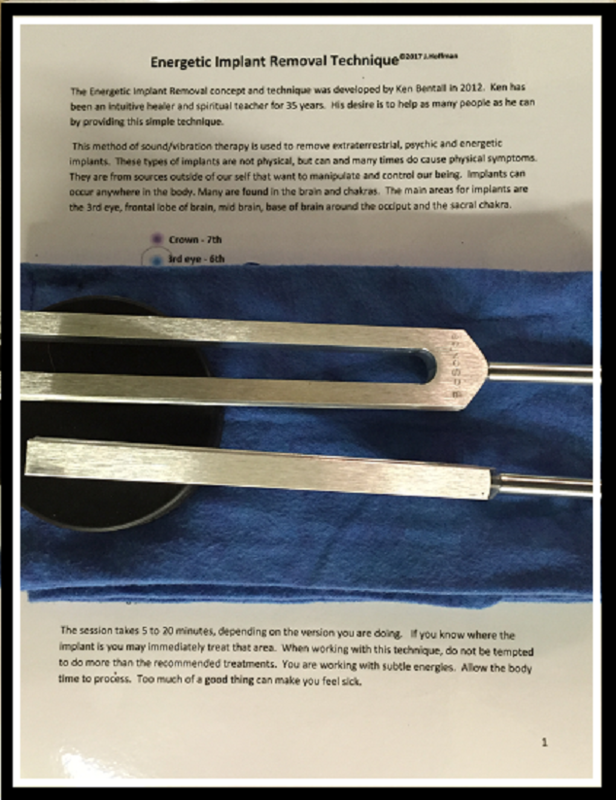 This resonance raises the vibratory rate and creates balance in the user. We live in an electrical universe where everything has an oscillatory nature. When our bodies get out of balance for any number of reasons, the oscillations of our cells slow down. The crystals, when applied to any plant or animal, act to amplify cosmic or universal energies. The synergy of these electromagnetic fields, that of the crystals and those of cosmic origin bring vitality and harmony to the user. Scientifically this is called Piezoelectricity or the Piezoelectric Effect. The Piezoelectric effect is the ability of certain materials (Quartz in this application) to generate an alternating current of voltage when it oscillates. 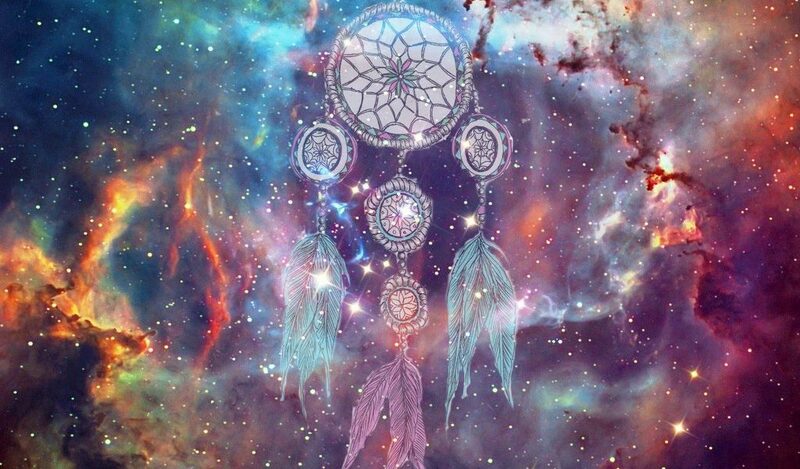 The crystals can be placed on the body in areas where there may be some kind of discomfort. They can be held in the hands or carried in ones pockets. The crystals are also very effective in balancing the Electromagnetic Fields or EMF energies that come for electronic devices. 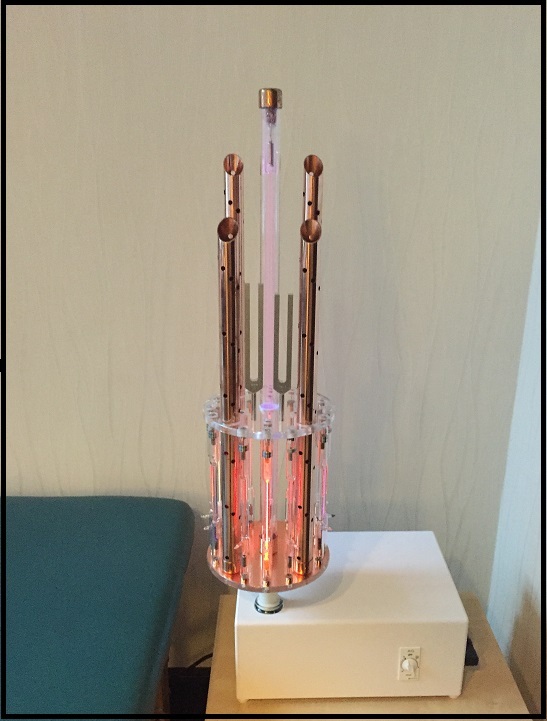 They can be placed on computers to absorb the negative EMF frequencies that they generate. The crystals should be cleaned in pure water and recharged in the sun or placed in the earth. For the first time, scientists have recorded DNA replication in real time. The scientists extracted DNA from E. coli bacteria, dyed it, and then watched the DNA replicate itself. The footage, alone, is fascinating. But the real shocker comes with what scientists discovered from the footage. They document their findings in the prestigious scientific journal Cell. A new study shows that synchronized voltage rhythms may be key in coordinating our internal clock, offering new avenues for treatment of circadian disorders. The inner working of the brain is one of the hottest areas of research right now. Although we know a great deal about this organ’s structure and functions, finding out the cellular mechanisms underlying the brain is a more difficult task. New research on the suprachiasmatic nucleus of the hypothalamus suggests that synchronized voltage rhythms are an integral part of this organ’s function. Could controlling this electrical activity be a future treatment for circadian disorders? What Is the Suprachiasmatic Nucleus? 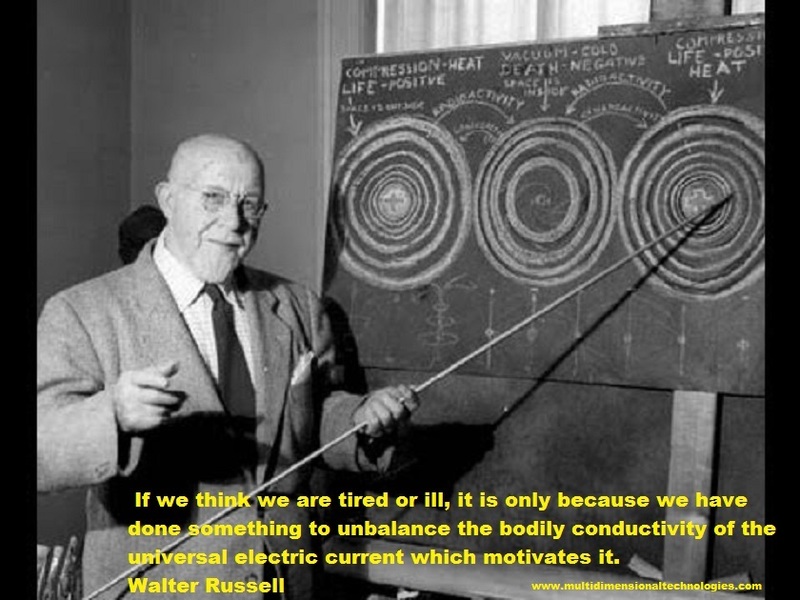 The suprachiasmatic nucleus is commonly known to be a driver of our innate circadian rhythm, synchronizing our internal rhythms with those of the outside world. Also called the SCN, this area of the hypothalamus is situated deep within the brain. Researchers have long known that the SCN receives messages about light from the retinas of our eyes and also coordinates signals from other systems. From there, it passes messages to the pineal gland, where melatonin is produced and stored. The pineal gland then releases melatonin in response to signals from the SCN, which in turn drives much of the cellular activity that relates to our circadian rhythm. Although we understand a great deal about this complex system, there is much that is still unknown. In particular, we know very little about how environmental cues are coordinated into a coherent signal. However, a new chronobiology study sheds light on this matter, showing that synchronized voltage rhythms within the cells of the SCN may be an important part of the puzzle. Our brain activity is partially controlled by electricity passed along neurons that function much like a wire in a machine. However, this electrical activity may be more complex than we previously believed. Like most neurons, the neurons of the SCN have voltage that is controlled by the build-up and release of ion gradients, in this case calcium. 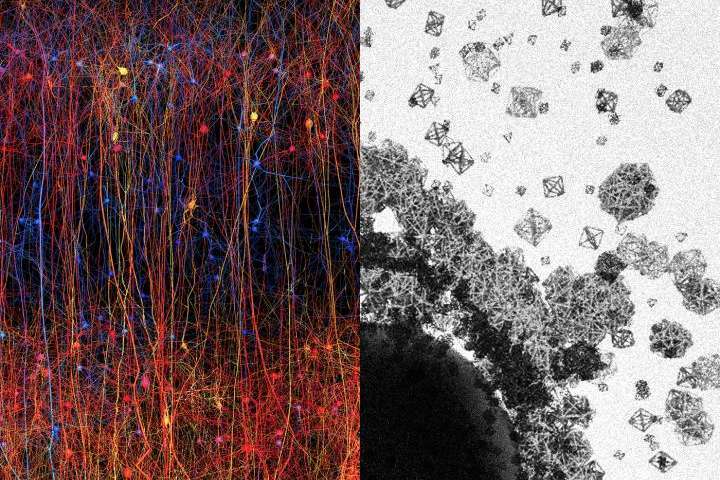 Researchers decided to measure the voltage in these neurons throughout the day using a special voltage sensor encoded into the DNA of mouse brains. While each cell had its own oscillating rhythm, the additive effects of the cells were significant enough to form a pattern, driving our internal clocks. Even more surprising, cells in the SCN appeared to oscillate independent of calcium levels. Researchers believe that these cells have an alternate mechanism known as a synchronized voltage rhythm. That is, the cells communicate with other cells in the region to coordinate their changes in voltage and the resulting changes in SCN activity. 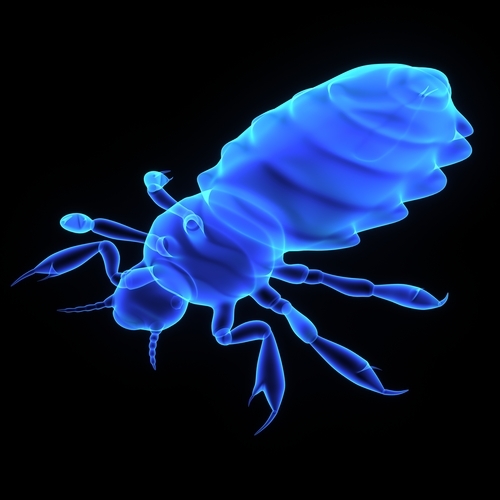 What Does This Mean for Treatment of Sleep Disorders? While this may seem like impossibly complex science, there are real life applications that are more difficult to explain. First, electrical activity in the SCN is not entirely dependent on calcium channels. Treating sleep disorders with drugs addressing the activity of these calcium channels would likely be unsuccessful. The voltage rhythms appear to be completely independent of calcium fluctuation. Second, clusters of neurons in the SCN appear to act as regional groups. 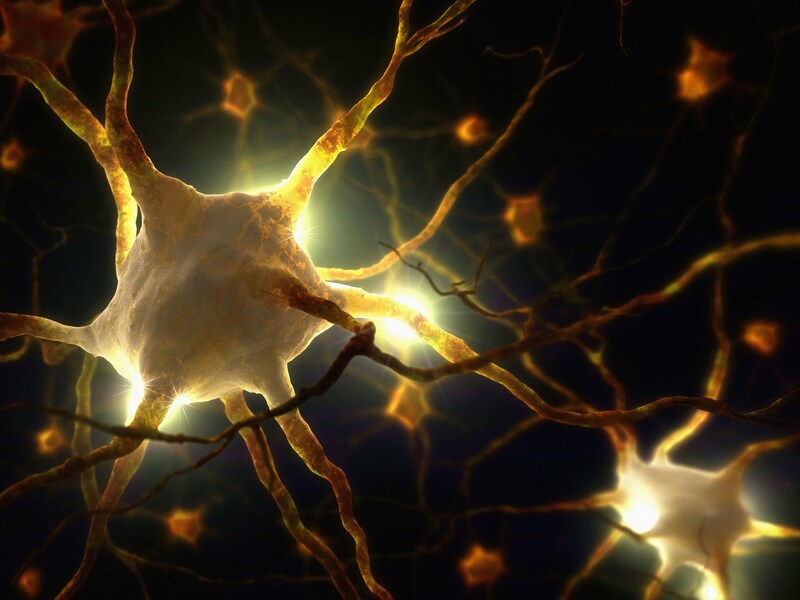 Sleep disorders may be due to the activity of a very small number of neurons rather than the entire SCN. Local treatment may thus be more effective than treatments aimed at the entire body or even the entire brain. This is significant because the drugs prescribed for sleep disorders currently, which are often ineffective and have high rates of side effects, act on a variety of systems throughout the body. Exactly how can we use this knowledge to more effectively treat sleep disorders in the real world? This question remains unanswered—for now. Understanding more about how our circadian rhythm is maintained on a cellular level offers hope for future treatments, but in the meantime, there remain few pharmaceutical options. Physicians and scientists continue to recommend lifestyle measures and supplements such as melatonin to keep our internal clocks on time. We live in an electric universe. 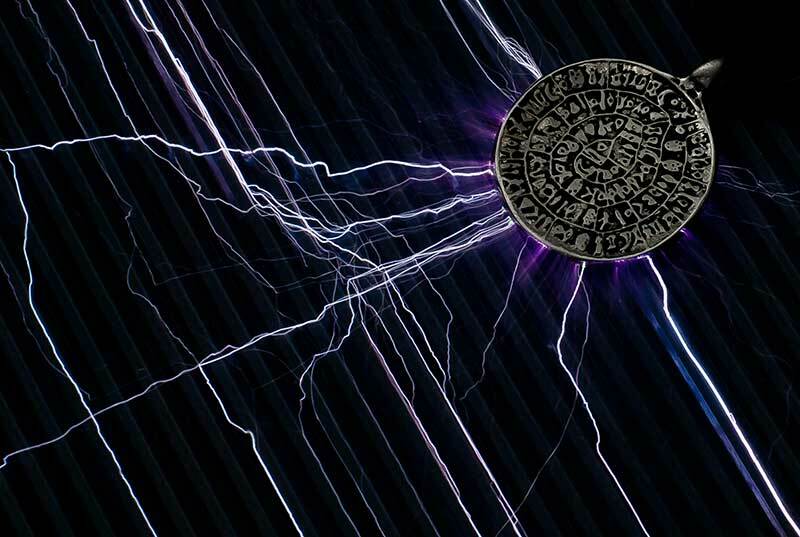 Everything is electrical in nature and everything responds to electrical stimulation. For many years we have seen the profound effects of applying electrical fields to plant life. Specifically using one of our inventions, the Subtle Energy Activation Devices ie: ‘The Tesla Lights’ . 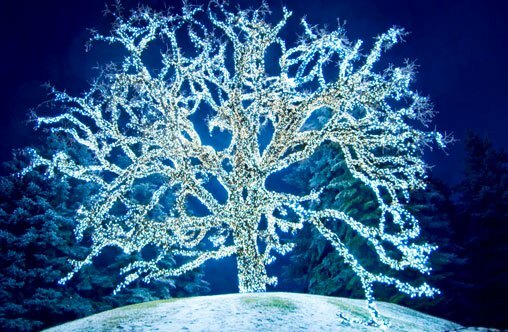 This article discusses the usage of electrical currents as an excellent option to using chemical nutrients in horticulture. We are excited to see this information making it into the public awareness because we feel very firmly that this is the future of agriculture. 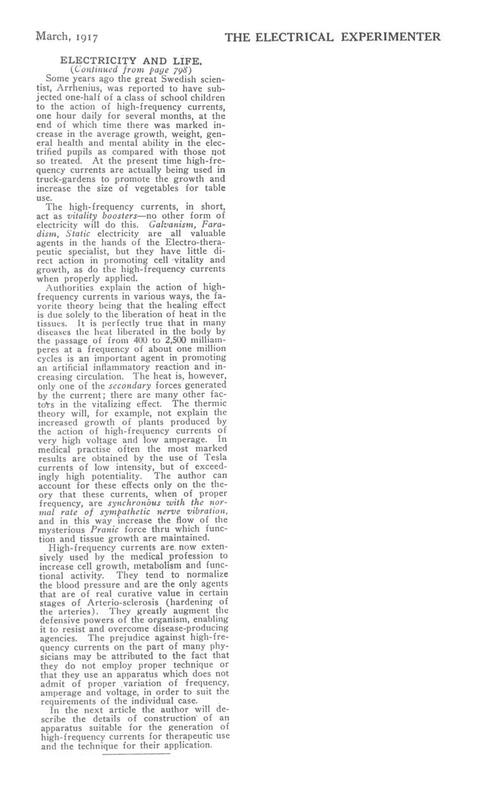 Electricity is essential to plant growth and disease resistance. Through the use of electrical currents at specific pulse rates, chemical fertilizers may be fast becoming a thing of the past. 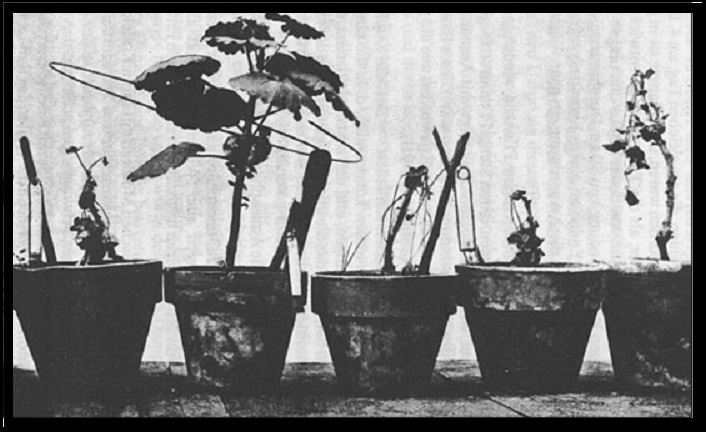 Electro-horticulture is an amazing study of the electrical properties of plants. Through these studies, revelations as to the effectiveness of electricity in plant production are better understood. This slideshow explain the process and benefits. The results of this study were accomplished by using psychedelic drugs. It is our opinion that similar findings could have been attained by other means as well. For example, if this study were to use subjects that were adept in Meditation, Tai Chi, Qigong etc. Disciplines of this nature, when practiced properly allow one to access the higher mind or higher states of consciousness that this study claims to have discovered. In a striking coincidence, the release date of this paper (19th April, 2017) comes precisely 74 years to-the-day after Albert Hoffman – who first synthesized LSD in 1938 – conducted his first ‘self-experiment’ to discover its psychological effects. This date, 19th April 1943, is widely known as ‘bicycle day’ in honour of Hoffman’s bicycle ride home following this first LSD trip. Explore further: How does brain functional connectivity change from the awake to unconscious state? For more than 20 years the team at Multidimensional Technologies has been working steadfast in developing technologies to assist our clients in their path to self–awareness. Our first course of action has always been to determine which type of technology, if any, is necessary in this endeavor. On numerous occasions we have told interested clients that they do not need any of our technologies. This was because we felt that they had the ability to access Source directly without any assistance to solve their issues. To others, we have suggested low-tech technologies that offer just enough stimulus to boost them to that next level that is necessary to fulfill their needs. We have also developed technologies that are designed to assist those who need a bit more of a boost, and of course those who service the needs of many. The article we are posting here is an excellent discussion on something that we have been seeing more and more of over the past several years. It is also something that any number of people tend to ignore, or fail to accept as part of our reality. This is one of the first signs from our perspective, that you may very well be infected. For this reason we have developed technologies to help those who may need a bit of assistance to deal with this type of issue. First and foremost however we suggest that you try the exercises that are described in this article to see if that will remedy this type of situation for you.